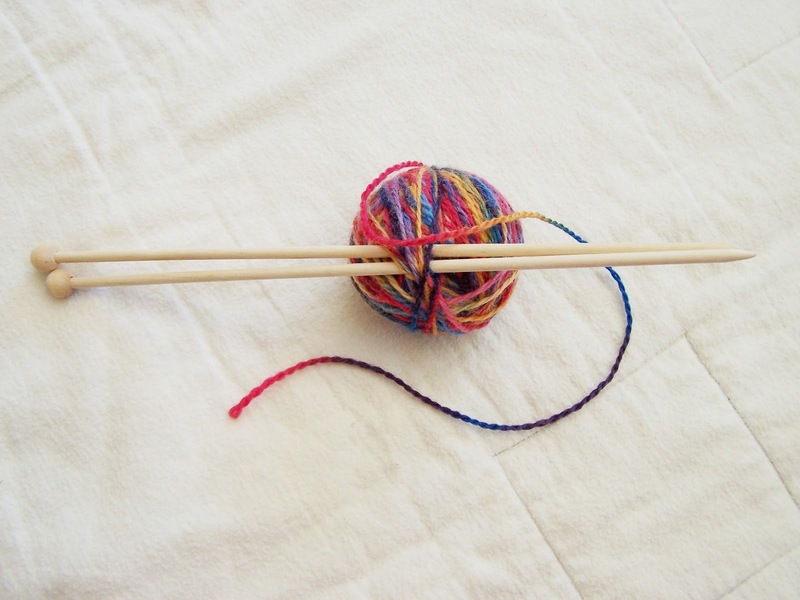 My mother-in-law was a Waldorf school teacher many years ago so she was keen to teach our children how to knit. 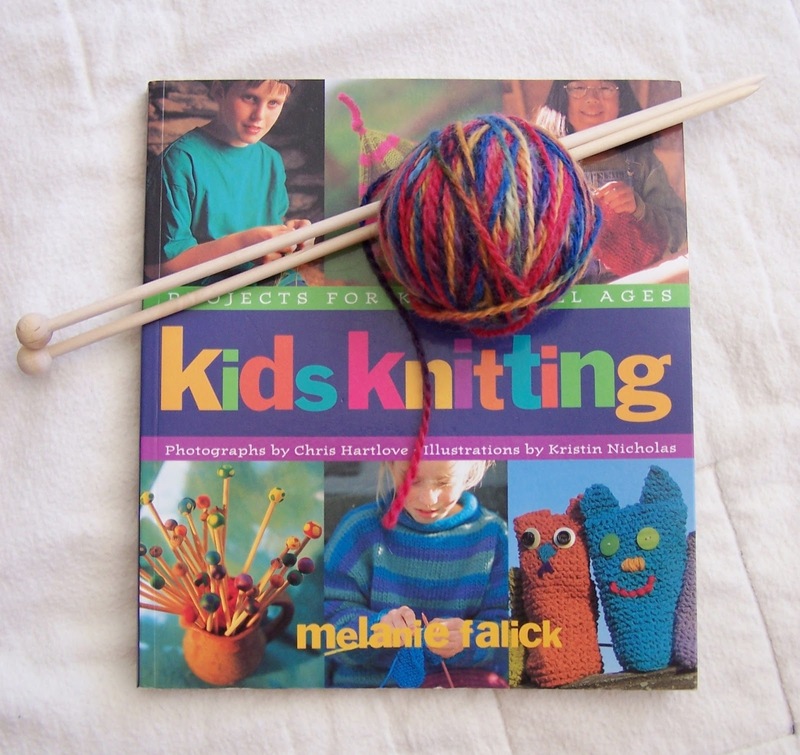 The first step she taught them was how to make their own knitting needles! She started them with 3/8" needles(=9mm or #13) but today we made a pair of 1/4"(=6mm or #10) and 3/16"(=5mm or #8). 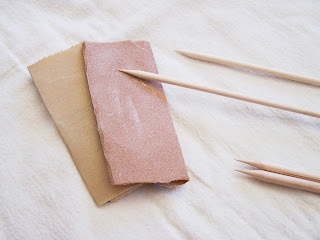 The method is the same for any thickness and they are surprisingly quick to make. 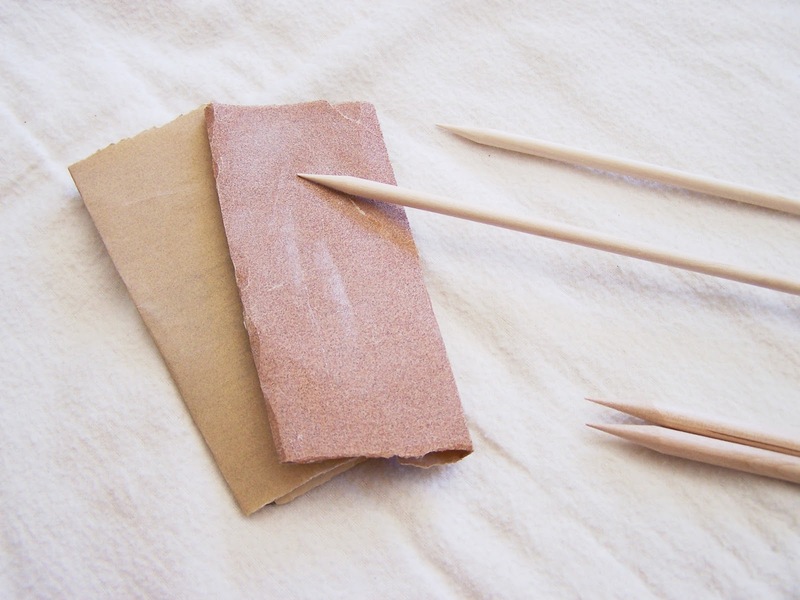 Here's a handy knitting needle conversion chart. 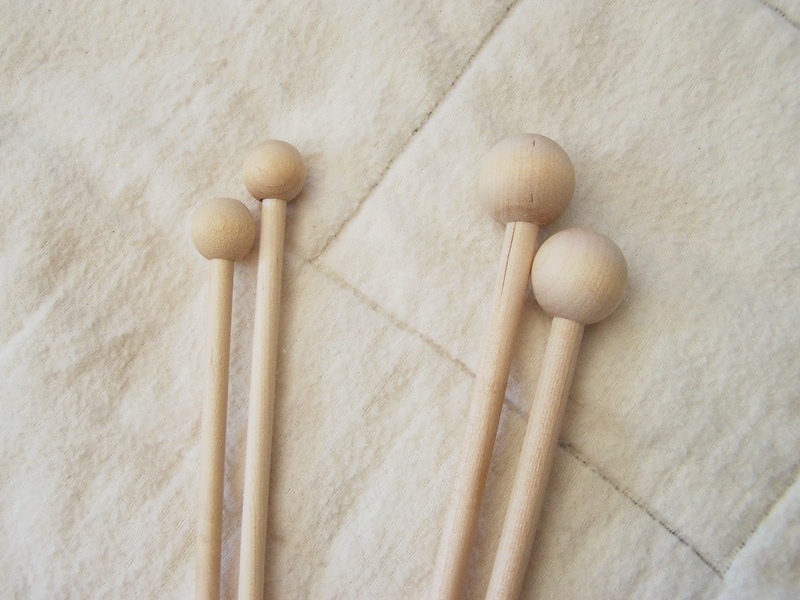 Traditional Waldorf methods have the children sand the ends of the dowel to a point. 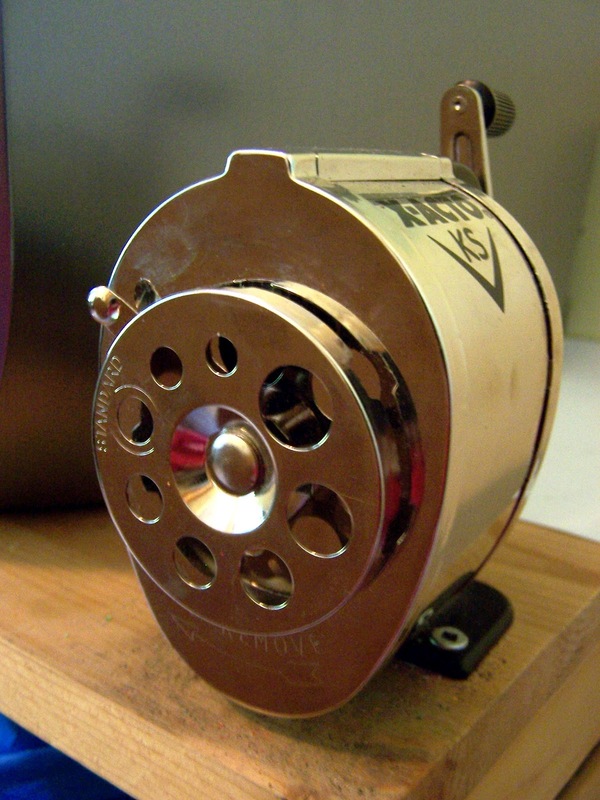 The pencil sharpener makes them too sharp so the children sand down the points until both needles are identical and smooth! 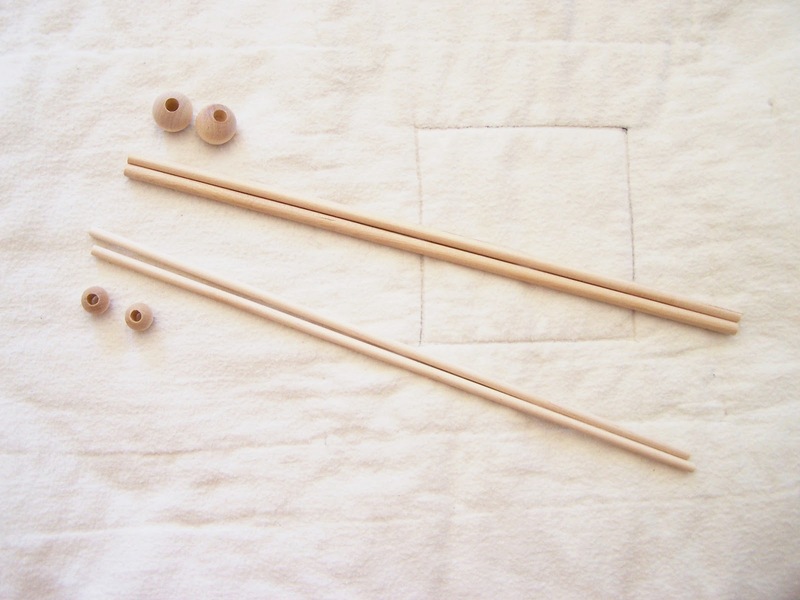 It's a very forgiving project as you can always start over by resharpening the dowels and adjusting the length so that they are the same. When the pointy end is nicely rounded then sand the opposite end of the dowel in a twisting motion until the bead fits securely on the end. 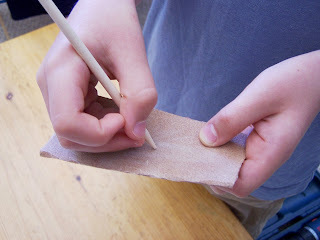 Glue the beads on with a bit of glue. When the glue is dry you can polish the needles with beeswax polish. Pour into a mason jar (or melt it directly in the mason jar if you are using a microwave) It's VERY hot so be careful! Let it cool and harden up before using. 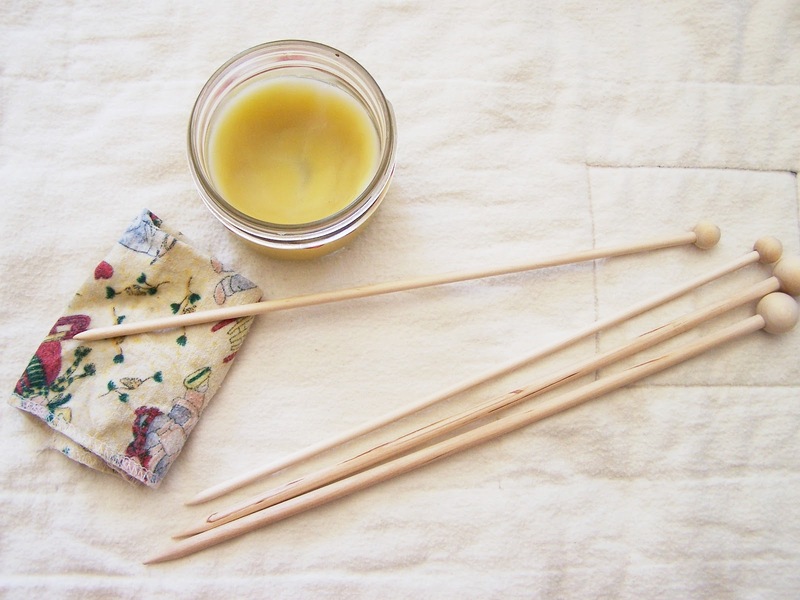 Rub a rag into the jar and rub over your knitting needles. Let sit for about 1/2 hr and then polish with a dry cloth until silky soft! And for those looking for a great starter knitting book...I know because I'm a starter knitter myself!...I recommend Kids Knitting by Melanie Falick. A great project for any age. Thanks for sharing! Thanks I'm so glad you found me! Your little ones are adorable, I look forward to seeing what you all do together! I love this. I found it while I was home from school, and I am definately ready to make this. As a matter of fact, I'm going to book mark your page. Wow you made them by yourself - amazing!!! This just changed my life. 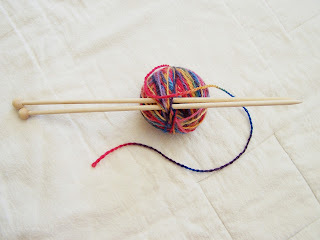 No more $13 sets of knitting needles for me! Whew! Thanks. I really enjoy reading your thoughts and ideas about the posts that I write here. It's nice to just say hi too! Why Photobucket may close down my blog . . .
Search my blog for. . .
Creative ideas booklist. . . Links to my blog are always appreciated, however, please contact me before using my content or images.